Henry Hayward has been living life the way he’s wanted-working hard, playing hard-but when his girlfriend tells him she’s leaving, it destroys him. In a quest to recover, he joins an army-affiliated contracting crew that takes him overseas to a Canadian base in Afghanistan. In the company of friends, he begins to mend: having laughs and being rebellious, blithely unaware of all he’s left behind. But everything changes during a roadside incursion when a routine patrol turns fatal. And Henry, who survives, knows in his heart that he is responsible. 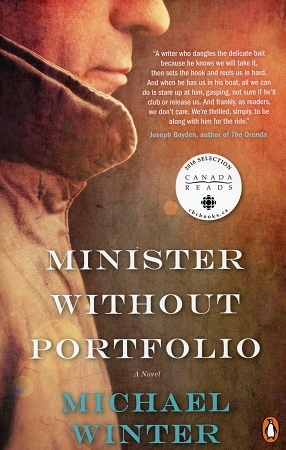 Minister Without Portfolio illuminates the power and violence of self-creation. It asks: To whom are we beholden? Who do we adopt-and who couldn’t we live without? It is an emotionally affecting work, filled with truths about the frailties and miracles of human nature, by a writer of exceptional talent.